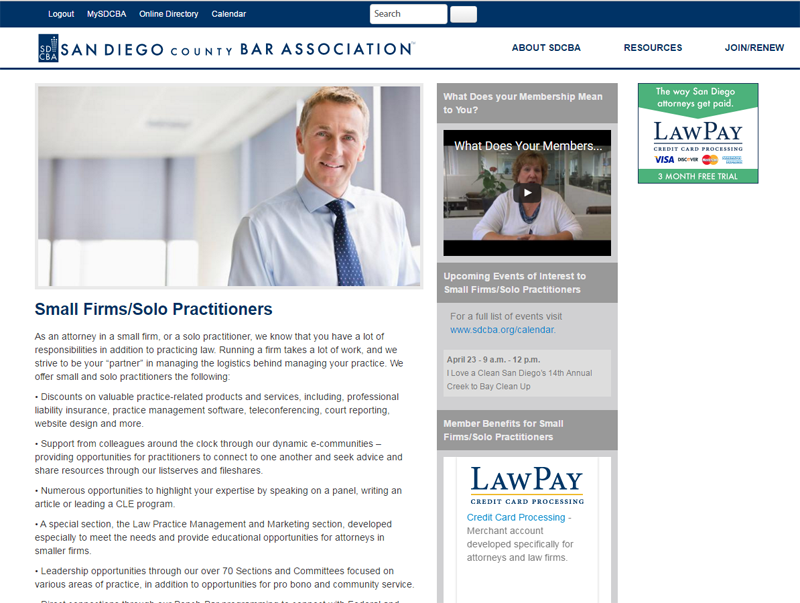 Looking to connect with San Diego's legal professionals? Get in front of the SDCBA's audience of over 10,000 members by becoming an SDCBA advertiser or event sponsor. Delivered directly to members' inboxes and mailboxes, the SDCBA's electronic and hard copy publications get your message to members directly & consistently. Learn more about these advertising options below. To download a media kit with information on all SDCBA advertising options, click here. To review the SDCBA's advertising policy, click here. From the annual Judicial Reception, Bench-Bar Luncheon, CLE's and networking events, there are myriad options to market and network to our membership. Download the SDCBA Sponsorship Menu here. Contact Andrew Cave, Member Services Director at acave@sdcba.org to confirm any sponsorships. 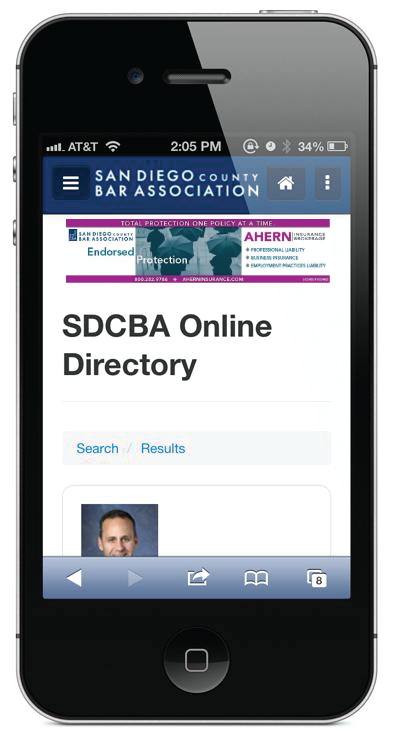 The SDCBA's online attorney directory, available for use by the public, is one of the most utilized tools and visited pages on the SDCBA website and is also accessible on mobile devices through the SDCBA's app. Rate is $1800 per month. Note, online directory advertising is limited to one advertiser. Email ltarabini@yahoo.com to place your ad. With over 25,000 viewers per week, the SDCBA website offers advertisers the greatest visibility to members of the legal community and beyond. This Week at the Bar, the SDCBA's weekly e-publication, is distributed to the entire Bar membership via email every first working day of the week. 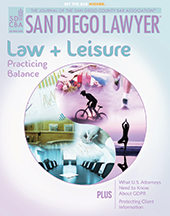 San Diego Lawyer is published by the SDCBA bi-monthly and distributed to the entire Bar membership. 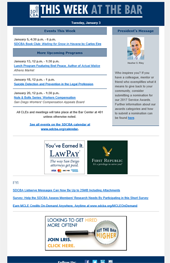 For the Record, the SDCBA's monthly e-publication for new lawyers, is distributed via email to SDCBA emerging attorney members, the SDCBA Board of Directors, and all other For the Record subscribers. 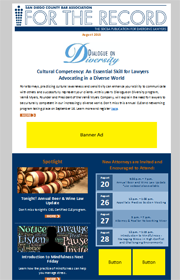 Sponsored content offers you the opportunity to share your expertise with SDCBA members in a unique and valuable way. In order to uphold the integrity of the SDCBA publications, and to ensure all sponsored content is of value to the SDCBA audience, the SDCBA must approve all ideas for sponsored content. See rate sheet, linked below, for further details. Are you an employer looking to post a job vacancy? 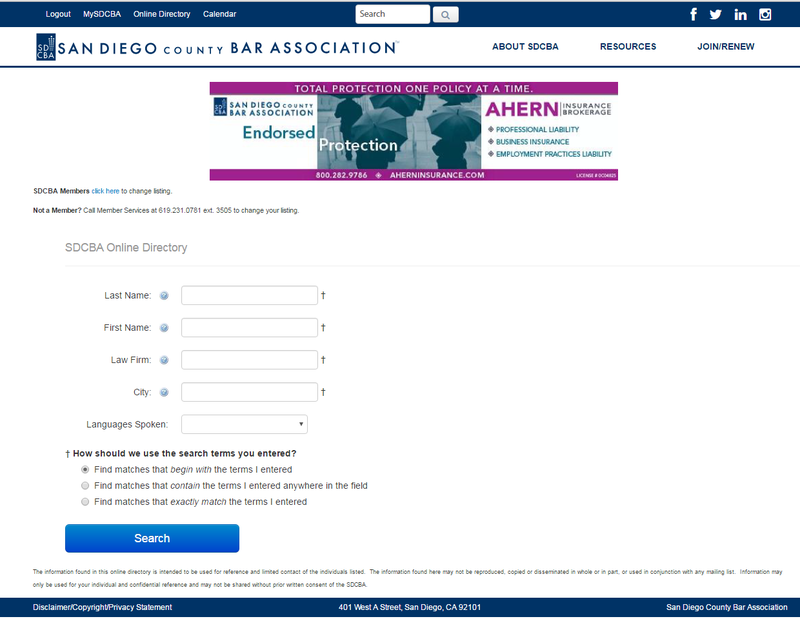 The SDCBA's Job Board offers direct access to San Diego's legal professionals. 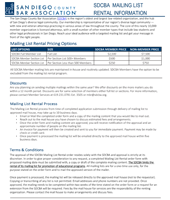 Are you interested in renting the SDCBA mailing list?